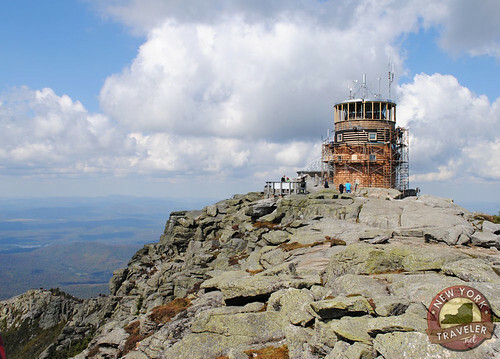 Ever hear of Whiteface Mountain? 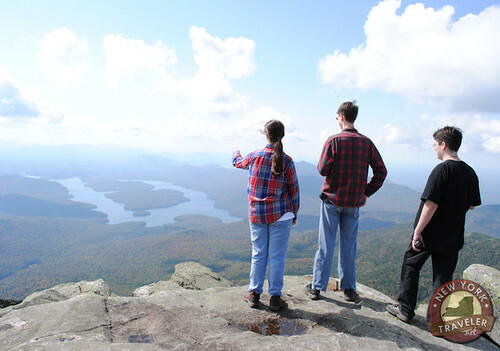 It’s in the Adirondack Mountain range. It’s also where the 1932 and 1980 Winter Olympics were held. I am madly in love with Whiteface Mountain. We went up to the summit last week. 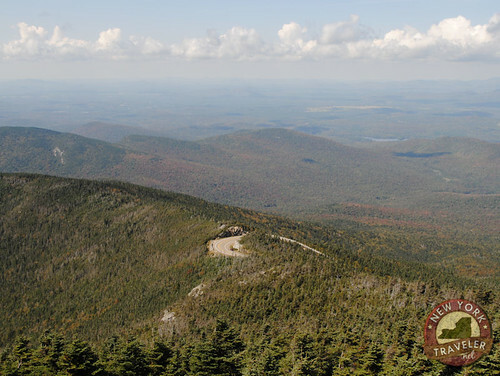 It’s the only ADK mountain you can drive up (near to) the summit. Franklin Delano Roosevelt apportioned funds for the highway, called the World War Veterans’ Memorial Highway, when he was governor of New York State. 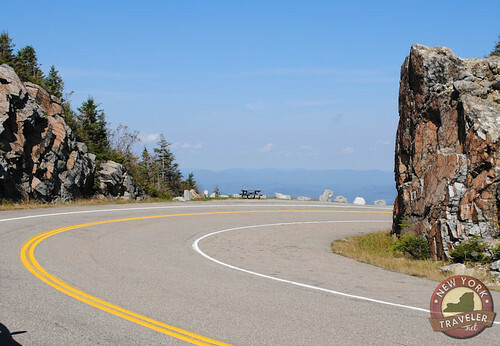 The highway is very steep with several hairpin turns. 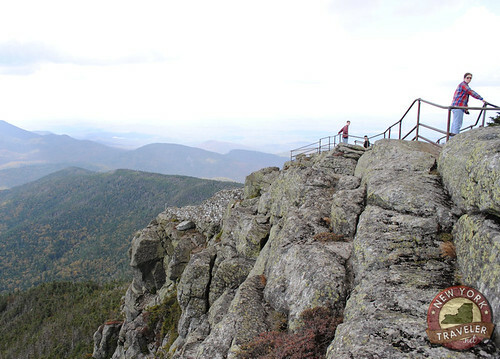 Because FDR was in a wheelchair, he could not climb to the summit. In his dedication speech, he hoped that someday a path would be made for people with mobility problems. Several years later, an elevator was built. 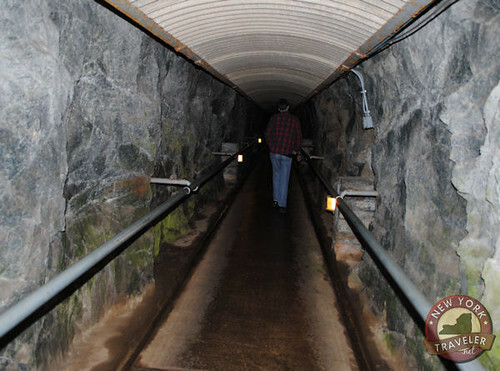 You walk through a 480-foot pathway into the mountain, and take the elevator up 271 feet! This takes you to an observation tower. You can walk out of the tower and go right out on top of the summit. It was one of the most exhilarating moments in my life. I wish we could have stayed all day up there. 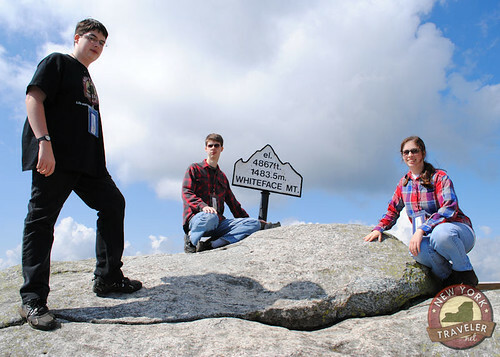 Eventually, we walked down the 1/5-mile nature trail, a steep, rocky path built onto one of the ridges of the summit. We sadly made our way back into the valleys. 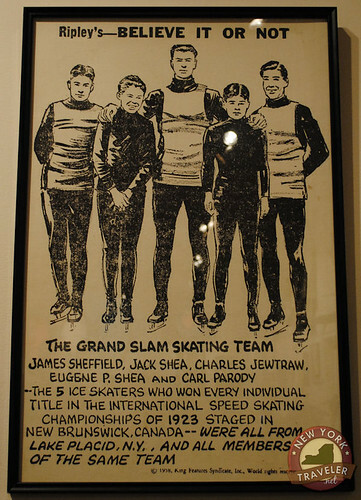 While in Lake Placid, I experienced a strange physical sensation. I felt marvelously strong. My muscles seemed to adore the mountain air, and I felt invigorated in a way I hadn’t felt in many years. No wonder people in Lake Placid are so healthy and active. On that note, I’ll leave you with an interesting Ripley’s Believe It or Not comic we saw at the Lake Placid Olympic Center Museum. I can certainly understand this, now! ← Hey! Don’t Leave Me! What an exciting adventure! That elevator in a mountain sounds pretty scary to me. My first thought was what if it got stuck! Oh wow I didn’t know there was an elevator! How long does it take to get to the observation tower in the elevator?